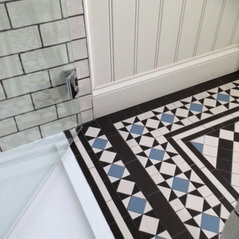 Mosaics By Post supply mosaic tiled floors using traditional Victorian & contemporary designs / colours. 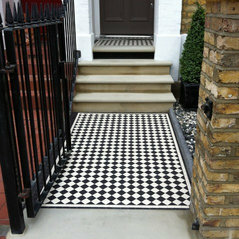 The floors are both practical & decorative for use indoors as tiled hallways and outdoors as garden pathways. Also suitable for bathrooms / wet rooms. 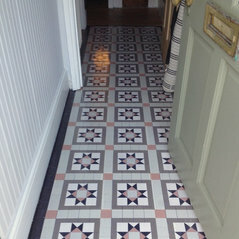 Typical Job Costs:£200 - £2,000Tiles are priced by the square metre for main designs and by the linear metre for borders. 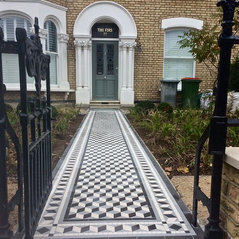 Customers should call or email to discuss design / colour preferences with dimensions of the space & we will provide designs / quotation for the supply of mosaics. 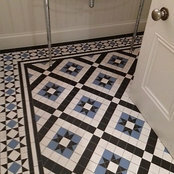 Commented: POLL - What's your favourite flooring, Stone, Tile or Wood?Mosaic for Victorian hallways, cloakrooms &amp; sometimes shower rooms / bathrooms. 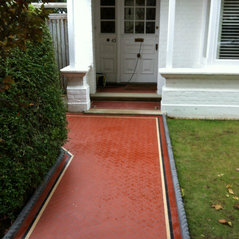 Unlimited design and big colour range. 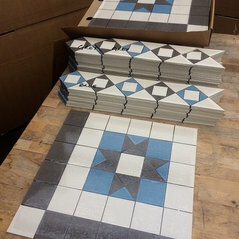 Commented: White or Smokey grey grout?White grout, unless you use an epoxy grout, will discolour more readily and necessitate frequent cleaning to keep it looking sharp. Grey all the way unless you can be bothered with epoxy.